Decided to have lunch at Chun Kee today so Jo and I each ordered a main course and we share a side dish together. 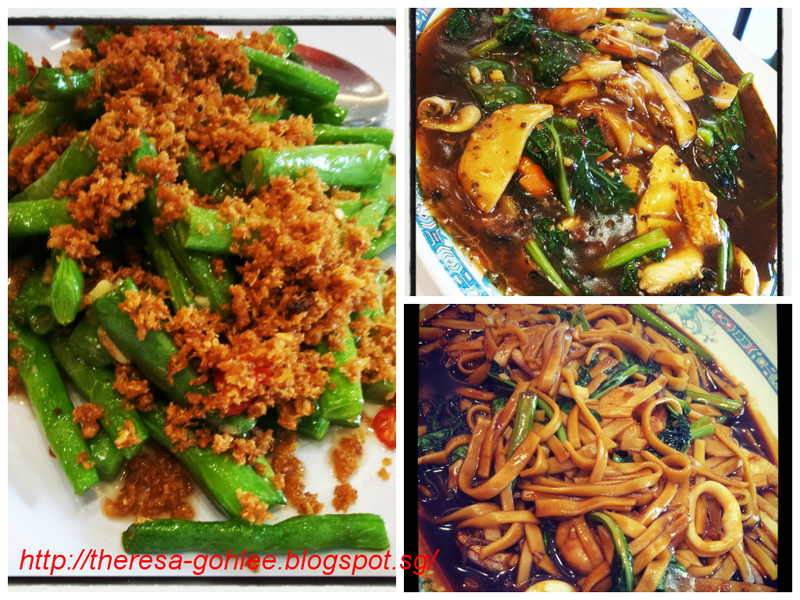 Black Bean horfun - $5 and my hokkien mee is $5 and french bean is at $10 we find it a bit ex cos is only very little but is really nice. Crunchy bean with dried prawn combination very yummy!!! Back home I am lazy so I just make one pot rice whereby I throw everything into the rice cooker and within 30mins viola you got your dinner! 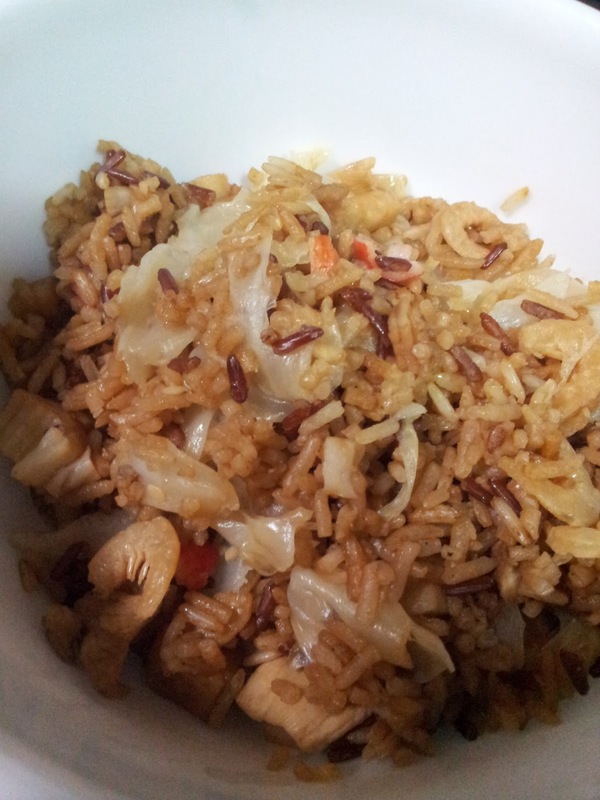 I will fry cabbage, dried prawn, chicken, crabstick and fishcake first and I will also add in dark soya sauce so that when I pour in the ingredients the rice will turn into dark color which looks more like yam rice. This is what I learn from my mum. To prevent the rice cooker base burnt with black soya sauce I cook the rice till is about to cook and pour everything in. And within 30mins dinner is ready to be served!